We are working hard to improve our high standard of living and ensure our city continues to thrive with more jobs and more services than ever before. ACT Labor took the lead in 2007 with its initial response to the challenge of climate change Weathering the Change Action Plan 1. ACT Labor has been implementing the actions identified in the plan and will continue to deliver sensible and cost effective programs as we move on to Weathering the Change Action Plan 2. The actions cover mitigation and adaptation and include a strong focus on energy efficiency and conservation. If re-elected in 2012, ACT Labor will help Canberra households reduce energy, reduce emissions and save money on bills which lower the cost of living. ACT Labor will provide online tools to help Canberrans better manage their energy use. We will also legislate to make sure all new homes in Canberra will be fitted with a ‘single switch’ which will turn off power and reduce energy use from non-essential appliances. ACT Labor’s energy savings policy will reduce energy costs to Canberrans while reducing emissions. The benefits are a win-win for everyone in our community – energy savings go directly to households and businesses and less demand lowers generation and other costs in the energy supply system, adding to savings and decreasing the cost of living. The improved website and educational tools will aid and guide Canberrans on ways to take personal action to improve their lifestyles while contributing to the effort to combat global warming. The move to a single switch in new buildings will make it easier for new homeowners and businesses to manage their own energy use in the ways recommended on the website. ACT Labor will invest $183,000 in recurrent funding over four years to provide practical online tools which will help Canberrans to save energy and money. ACT Labor will improve the ACT Government website to offer better advice and tools for Canberrans to learn what they can do to save energy while making their homes more liveable and saving money by lowering energy bills. We will add a web-based household/personal sustainability footprint calculator, action planning and tracking tool which will be accessed via the ACTSmart website. These tools will provide the general public with information about a range of actions to help them to live more sustainably, reduce their carbon footprint and reduce greenhouse gas emissions. 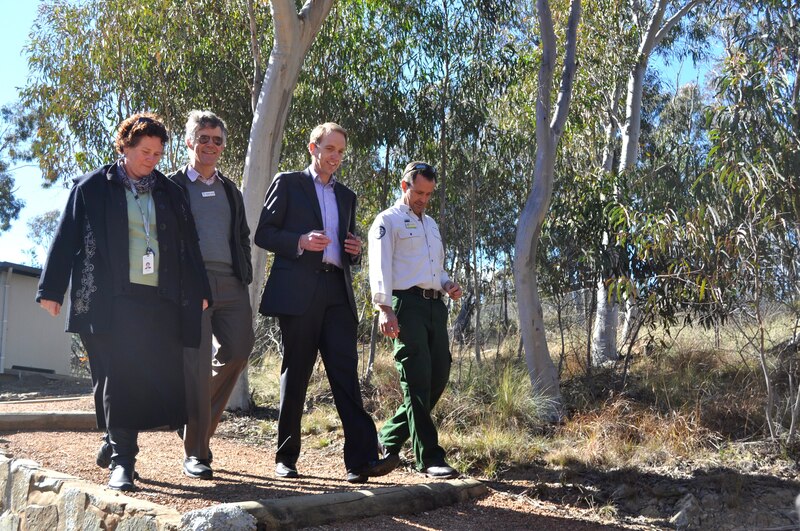 The website will also encourage Canberrans to pledge their commitment to a sustainable lifestyle. If re-elected, ACT Labor will legislate to mandate for new premises to have a single switch design on certain power circuits in buildings, saving energy and money for residents and businesses. When activated, the single switch will turn off all appliances plugged into the linked socket outlets in the home, but would exclude appliances plugged into specific unlinked sockets for equipment that needs to run continuously, such as refrigerators. These initiatives will work in partnership to ensure that the entire community can benefit from reduced greenhouse gas emissions. Householders who use the website to implement the advice on the site and or use the single switch once it is installed will benefit from lower energy use and lower power bills. These initiatives will also assist low income earners. Both these initiatives will be linked to ACT Labor’s recently passed Energy Efficiency (Cost of Living Improvement) Act 2012, which includes a Single Switch option as an eligible activity to retrofit into existing homes and will see some energy efficiency education from utilities to match their offers. • Home Energy Action Kits to allow homeowners to undertake their own audit assessment of their energy use so they can take action to reduce it. Simon Corbell – MLA from coordinate on Vimeo. 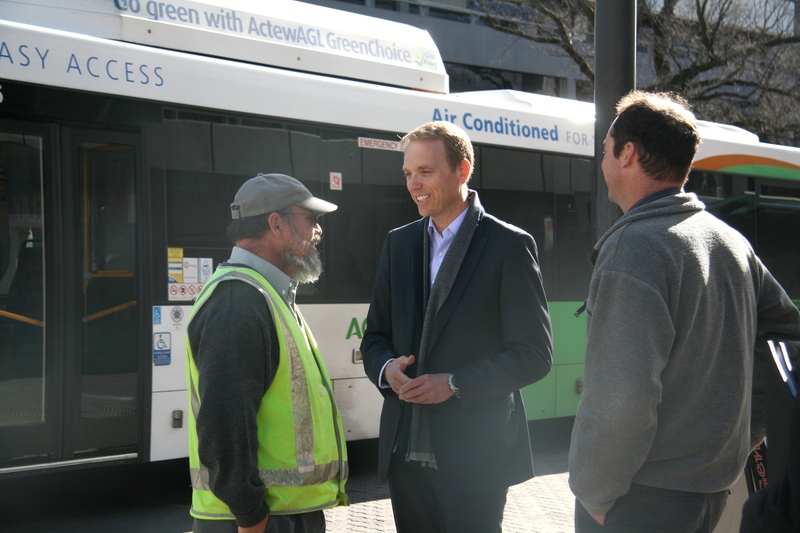 ACT Labor is committed to transforming Canberra’s public transport services and improving residents’ transport choices. Better public transport services will help reduce the costs associated with multiple car ownership, traffic congestion and will assist in reducing Canberra’s greenhouse gas emissions. The ACT Labor Government has released a comprehensive strategy to improve Canberra’s public transport network called Transport for Canberra. Transport for Canberra will drive improvements in service frequency and coverage. Along with improving and extending frequency of bus services along Rapid Corridors, the plan proposes travel guarantees to reduce waiting times when interchanging and increasing frequency for suburban coverage services. ACT Labor is already delivering improvements to public transport, including the extension of Red Rapid services to the Kippax Group centre to service West Belconnen, Real Time Bus Information, the construction of the ANU Exchange Bus Station, the new Belconnen Community Bus Station and the Belconnen to City Transit way project. As part of its comprehensive plan, the ACT Labor Government has also been investigating options to construct Light Rail Transit from the Gungahlin Town Centre to the City Centre as the first stage of a broader rapid transit network across our city. This is a transformative project that will change the face of Canberra and the way it functions and grows. As well as providing a faster, more frequent, and reliable public transport service which will encourage mode shift away from private vehicles, this project will facilitate urban renewal at both the residential and commercial levels, bringing about significant transit oriented land use changes. If re-elected in 2012, ACT Labor will establish the ACT’s first large-scale private sector partnership to plan, finance and develop the first stage of a Light Rail Network for Canberra – the Capital Metro. Capital Metro will be the backbone of Canberra’s public transport network, combined with the Frequent Network of buses. Options for investigation of second and subsequent stages are already being considered, including Kingston (East Lake) to the City via Barton, Woden to the City, Woden to Erindale and Tuggeranong, as well as to Belconnen, Weston Creek and Molonglo. The current revised total project cost estimate is $614 million. This cost estimate will continue to be refined as the project progresses through forward design. This figure includes feasibility, design, construction and vehicle purchase including a light rail depot. In order to progress this project, ACT Labor will commit to $30 million in capital funding. This $30 million funding will be used to undertake the next stage of concept and design work, and development of funding and financing analysis and models in the 2013-14 and 2014-15 period. Funding for Capital Metro Stage 1 project delivery and construction will be through a private sector partnership, with finance and delivery models to be developed as part of work in 2013-14 and 2014-15. * This is ACT Labor’s committed funding. This will reduce to $7.5 million each year if the funding submission to Infrastructure Australia is successful. ** Recurrent funding will be provided to the Capital Metro Project Office (currently the Gungahlin to City Project Office) from the Land Development Agency. The LDA is not budget funded. Capital Metro Stage 1 will be a light rail service with vehicles capable of carrying up to 200 people at 8-10 minute frequencies along a 12km route from Hibberson Street in Gungahlin to the City Centre. The proposal will involve major stations at Gungahlin Town Centre and Dickson Group Centre with high quality stops 750m-1.5km apart at various points along Flemington Road and Northbourne Avenue, terminating between Alinga and Rudd Streets close to the City Bus Interchange. Capital Metro Stage 1 will be developed on the median alignment along Flemington Road and Northbourne Avenue. It is proposed to retain the existing verge and median widths along Northbourne Avenue and also provide dedicated 3 metre wide segregated cycle lanes to improve cycling safety along Northbourne Avenue. Flemington Road will include 1.5m dedicated cycleways in the verge. Improvements will also be made to pedestrian infrastructure along the corridor. 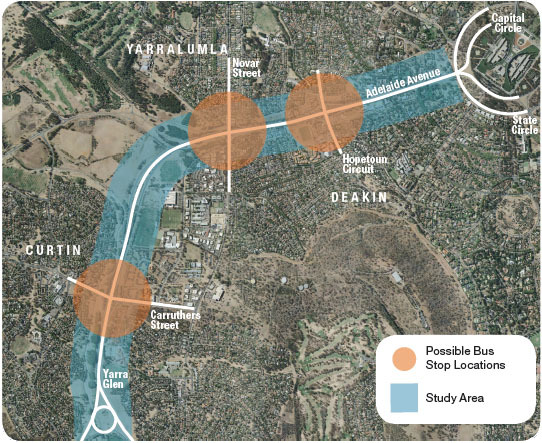 Capital Metro Stage 1 will help manage congestion on the crowded Flemington Road Northbourne Avenue corridor and the broader Canberra road network. Currently travel delay during the AM peak is approximately 16 minutes. The development of Capital Metro Stage 1 is projected to reduce travel delay by up to 6 minutes based on the business as usual scenario. Capital Metro’s travel times are estimated to be at least 30% faster than general vehicle traffic. In 2012, ACT Labor established the Gungahlin to City Project Office to coordinate the delivery of rapid transit and urban redevelopment along the Gungahlin to City corridor. This recognised that the project is also a significant urban renewal project with the need to coordinate and use “value capture” to help finance public transport infrastructure works and renew existing sites on the corridor, such as the Northbourne Flats Public Housing precinct. Detailed engineering and economic analysis has been undertaken as part of the project, with the economic analysis confirming a strong benefit cost ratio of 2.34 for Light Rail Transit on the Gungahlin to City Corridor, supported by more people and jobs moving into the corridor over the next 20 years. Commence preparation of a Master Plan for Northbourne Avenue and the Gungahlin to City Corridor, to establish the pathway to higher population and employment in the corridor. Light rail station infrastructure design study ($225,000) – station concept design for Gungahlin, Dickson and City stations and standard light rail stop concept design. ACT Labor’s commitment of $30 million over the next two years is for further feasibility and forward design during 2013-14 and 2014-15. We have also submitted a funding proposal to Infrastructure Australia as part of the Nation Building II funding round, for a $15 million contribution to offset the ACT Labor Government’s costs in this phase of the project. Preparation of tender document package. Link to City Strategic Plan being developed through the Commonwealth Government’s Liveable Cities Program. When will the first stage of Capital Metro be complete? 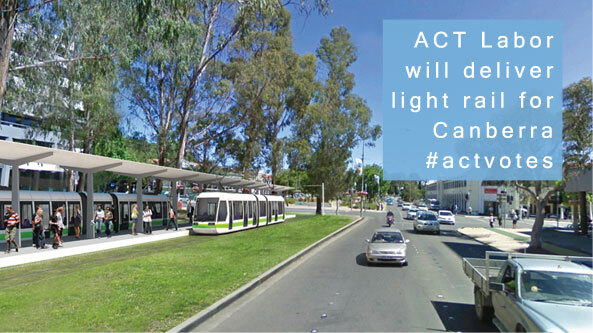 Capital Metro Stage 1 will be one of the largest infrastructure investments made by the ACT Government for many years. It is essential to plan and prepare for a project of this complexity carefully, so that issues such as detailed community consultation, feasibility analysis, environmental considerations, station design and location, relocation and upgrade of existing infrastructure and financing options can all be properly considered. Capital Metro Stage 1 is anticipated to be completed by 2018, with construction estimated to commence in 2016. This timeframe is comparable with the Gold Coast light rail project, which is now under construction and is estimated to have an 8 year project life from project inception to completion. ACT Labor is building a better community, one which has a strong local economy and more jobs than anywhere else in Australia. We enjoy a high standard of living and we are investing in the future transport needs of Canberra. ACT Labor has worked hard to improve the safety of all road users and reduce our rates of accident and injury on the road, by building better roads and through investing in more police. Canberra has thousands of good drivers who abide by the rules, drive safely and do not attract penalties or infringement notices. These drivers contribute to making our safety record even better. There are currently around 275,000 full active driver’s licences (excluding heavy vehicles) in the ACT. Data over the last 10 years indicates that around 60 – 65% of full licence holders attracted no demerit points or infringement notices over their five year licence period, and around one fifth of these will renew their licence each year. New and young drivers should also be rewarded for safe driving practices. Provisional licences are held for three years. There are currently about 20,000 active provisional driver/rider licences in the ACT, with about 7,000 progressing to a full licence each year. More than half of these, around 4,500, progress to their full licence without incurring demerit points or infringement notices. These are the drivers, and the driving behaviour, that need to be encouraged and rewarded. That’s why if re-elected in 2012, ACT Labor will encourage and reward good drivers by providing a 20% discount on fees for licence renewals and for P-Platers with clean driving records. ACT Labor will forego revenue to provide a 20% discount to clean-record drivers renewing their full licence for a further five years, costing approximately $968,000 on 2012 licence figures. ACT Labor will forego revenue to provide a 20% discount on the full driver licence fee to eligible provisional drivers on progressing to a full licence will cost approximately $154,000 on 2012 licence figures. The proposal to provide a 20% discount will cost around $4.660 million over four years. Please note that figures may not total due to rounding. * Assumes that one fifth of full licence holders who have no infringements in the last five years will renew their licence each year. The number of full licence holders has been held constant. Costing includes 2.5% annual indexation of the fees. ** The number of P plate licence holders has been held constant. Costing includes 2.5% annual indexations of the fees. To encourage and reward good driving behaviour, a 20% discount on licence renewal fees will be given for drivers with a 5 year clean record—no demerit points and no infringement notices. The current full licence fee is $157 for a five year licence. A 20% discount will save each licence holder $31.40. P-Platers who progress to a full five year licence with a clean driving record will also receive a 20% discount on the full $157 licence fee, again a saving of $31.40. The road transport authority computer system that manages driver licensing arrangements will be enhanced to advise licensees of the discounted amount to be paid when sending reminder notices. If re-elected in 2012, ACT Labor will fund 10 more community gardens across Canberra in existing suburbs to make our community places and spaces even better. We will provide an additional $200,000 over four years in capital funding to establish the community gardens through a new Community Garden Funding Program. This funding commitment is in addition to our existing commitment to cut red tape in the establishment and operation of community gardens. The 14 community gardens already operating in the ACT, provide opportunities for urban and suburban residents to grow their own fruit and vegetables and enjoy gardening activities in a social setting, as well as creating a greater sense of community. Growing food locally in this way provides benefits in building community health and wellbeing, which in turn contributes to the liveability of our city. The ACT Labor Government recognises the increasing popularity of community gardening, and values the contribution it makes to a healthy society and a more sustainable environment. Community gardens are generally community-initiated, and managed by community organisations on behalf of their members. 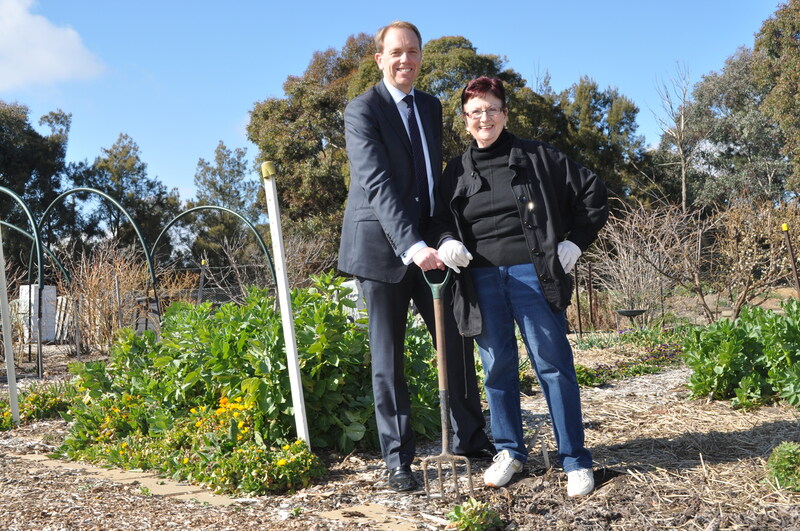 The ACT Labor Government has already responded to the increased demand for community gardens in our new and established suburbs by cutting red tape and making it easier for community groups to set up a garden. A Community Garden Funding Program will be established to provide $200,000 over four years to establish the gardens based on criteria developed through feedback on the Community Gardens Discussion Paper. The funding will cover the costs of setting up a garden, such as establishing the water supply, providing fencing and basic infrastructure including equipment sheds and garden beds, and any initial set up costs. Recognising the strong interest in our community for people to be involved in communal gardening activities, we will make sure that residents in our new and developing suburbs also have access to this type of facility. That’s why when we plan for new suburbs in our growing city we are identifying suitable sites for community gardens. We have already allocated $100,000 to establish a community garden in each of the two new suburbs of Coombs and Lawson in the Molonglo Valley as an integral part of developing sustainable suburbs for Canberrans. ACT Labor will also involve residents in choosing the final community garden sites, and for the first time, enable Canberrans to nominate and vote online for preferred locations of a garden in their local area. Siting gardens locally supports our objectives of reducing the Territory’s ecological footprint and carbon emissions, producing food locally, and engendering social inclusiveness and a sense of belonging. ACT Labor knows that community gardening improves community health and well-being, food security, lowers natural resource consumption and builds community resilience. We’ve helped established up to 14 community gardens across the ACT – in Charnwood, Cook, Cotter, Dickson, Erindale, Holder, Kaleen, Kambah, Kingston, Mitchell, Oaks Estate, O’Connor, Narrabundah and at the ANU. Eleven of these are managed by the Canberra Organic Growers Society (COGS). The typical Canberra community garden has individual garden plots for 20 or more members, plus communal areas. There are also many kitchen gardens associated with schools and productive gardens within some public housing complexes. More requests are being regularly received from the gardening community for suitable land to be set aside in new estates and in established neighbourhoods. Released a discussion paper (Community Gardens in the ACT: Draft Site Selection Criteria for Future Locations) to get the public and stakeholder views as to where and how such gardens should be established (available at http://www.actpla.act.gov.au). Today I announced that Canberra will see the development of the largest solar power plant to be built in Australia to date. 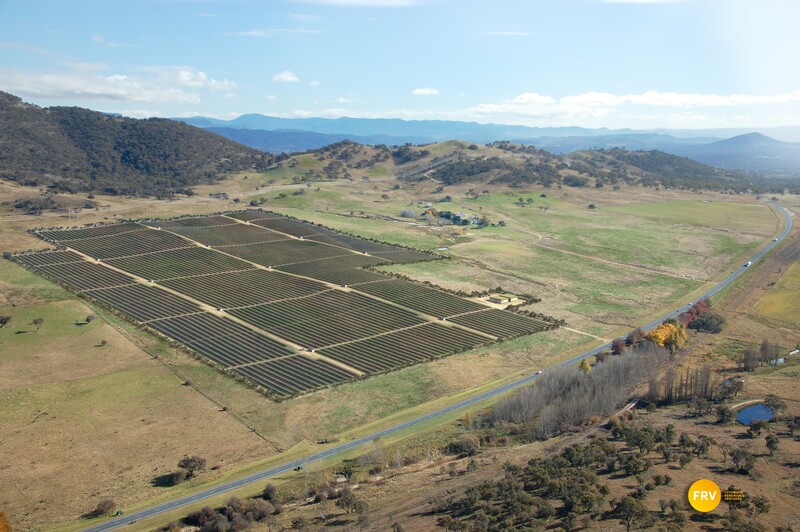 Fotowatio Renewable Ventures (FRV), a global solar developer based in Spain, will deliver the Royalla 1 20MW solar farm on a rural property in Tuggeranong, just off the Monaro Highway near Royalla. Digital image of the FRV 20 MW Royalla solar farm. View towards the west with Monaro Highway in foreground. Image courtesy of FRV. The development has been made possible due to the ACT Labor Governments large scale renewable energy generation feed in tariff law. This law allows the ACT to develop up to 210 MW of renewable generation using a reverse auction process. This allows us to get the largest amount of renewable energy at the cheapest price for consumers. This has certainly been confirmed with the announcement today. ACT households will pay only 25 cents a week or $13 a year as a result of the large-scale feed in tariff for Royalla 1. This will reduce to just 19 cents a week, or just $9.50 a year, by 2020 as the cost of wholesale electricity continues to rise. The process shows large-scale solar is affordable and efficient. Royalla 1 is expected to create 50 jobs during construction and will help our city achieve its greenhouse gas reduction targets by reducing emissions by over 500,000 tonnes in the next 20 years. The farm will provide enough power to supply nearly 4,500 Canberra homes. The project will commence construction in 2013 and is expected to be operational in early 2014. This project confirms Canberra is leading Australia in making the shift to a sustainable future, I am proud it is a Labor Government which is showing the way. Bus Stations for Adelaide Avenue? As a frequent bus user travelling from Woden to Civic, I have often thought about the benefits of having bus stops on the Adelaide Avenue corridor near Curtin, Hughes, Deakin and Yarralumla. The Blue Rapid (300) service provides great coverage on this corridor, with buses running every 5-7 minutes during the day, yet if you live, work or go to school near the corridor, you can’t take advantage of this high frequency service. The ACT Labor Government is currently investigating options to build bus stations along Adelaide Avenue and Yarra Glen as a way to improve people’s transport choices along the corridor. The options are for stations or stops at Carruthers Street bridge, Novar Street/Kent Street bridge and Hopetoun Circuit overpass. Initial consultation took place in February this year. You can view the options released for comment and the public consultation report here. There was strong support for the idea from a majority of people who had their say. In the next few weeks further public consultation will take place asking for feedback on possible designs for each site. Stay tuned for further details. This work is an important part of ACT Labor’s Transport for Canberra Plan, as we work to improve transport choices for our community. Earlier this week I visited Kambah Pool, one of the ACT’s great recreational spaces, to see how a group of young people have taken responsibility for the vandalism that they caused in July 2011. The young people had the opportunity to see the error of their ways and make amends through the ACT Labor Government’s restorative justice program. In July 2011, seven young people used hand tools and a chainsaw to cut down trees and damage park furniture at Kambah Pool and Tharwa Sandwash. The offenders, their parents , police and park rangers were given an opportunity to address the impact of their vandalism through the restorative justice program and as result the young people agreed to assemble new picnic tables, collect rubbish and plant new trees under the guidance of park rangers. They also made a financial donation to the National Parks Association. This shows how restorative justice can ensure young people truly face up to the consequences of their actions and make amends for the harm they have caused others and the broader community. The restorative justice unit has been in operation since 2005 and has seen 1220 referrals involving 2900 offences, 1500 young offenders and 2170 victims. Congratulations to the team at restorative justice unit and the difference they are making in reducing repeat offending and helping young people face up to the consequences of their actions in a practical and meaningful way. Today I joined with the volunteers of Tidbinbilla RFS Brigade to mark the opening of their new shed (station). After spending 30 years in the old shed just down Paddys River Road it was great to see the brigade take possession of the new $2.1 million facility at its new location at the entrance to Birrigai Education Centre in the Tidbinbilla Valley. Tidbinbilla Brigade is one of the ACT’s oldest RFS brigades with a history stretching back over 50 years. 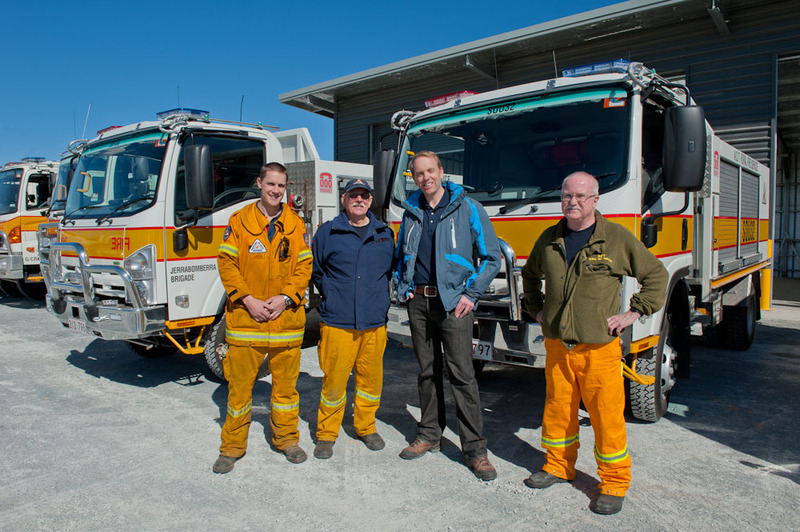 The Brigade provides essential wildfire response to many rural properties, Tidbinbilla Nature Reserve, Corin Forest and even the nearby Tidbinbilla Deep Space Tracking Station! The new shed includes 4 vehicle bays, training and office space and modern toilets, shower. locker room and kitchen area. 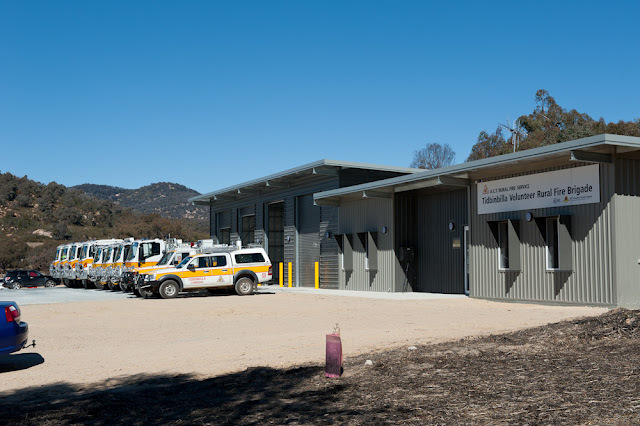 Much more than just a shed, Tidbinbilla RFS is a modern RFS station which can meet the many needs of the RFS and the local community in times of emergency and in ongoing training. Congratulations to Tidbinbilla RFS Brigade and here’s to another 50 years!